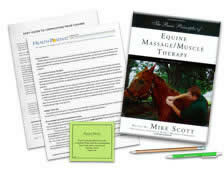 Do you have the Equine Massage/Muscle Therapy textbook? See your enrollment options above for "I already own the text". Based on a well-illustrated book by Mike Scott, MMTP, this course presents equine A & P; assessment strategies; safety issues for both the horse and the therapist; the theory behind appropriate massage techniques; a discussion of how the author applies techniques in various situations; how he uses stretches to benefit the horse, and how to he uses attention when touching horses. 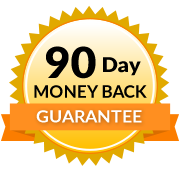 This course provides solid conceptual preparation for seeking hands-on training, but it does not teach hands-on skills. Please seek additional experience, with a mentor, to add hands-on skills. Recognize how horses often respond to massage and what the author recommends doing with the horse after the massage session. Identify how the author recommends managing muscle soreness and exertion in horses. Identify how the author recommends managing common injuries and lameness. Identify at least 5 of the important equine anatomical structures and/or muscles. 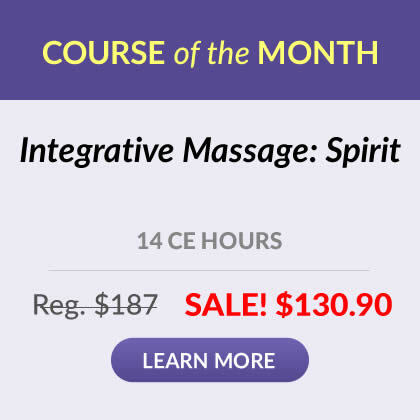 Describe how the author observes a horse's movement to inform his approaches to its massage. Identify how the author performs each of the following massage techniques on a horse: compression, direct pressure, friction, fascial stretching, strain/counterstrain and percussion/tapotement. Describe and/or list the author's most important points in performing 7 different types of stretching. Identify the most important points in observing how a saddle fits a horse; how to exercise a horse, and at least 2 integrative/adjunctive therapies. If you see a restriction during massage and the horse is accepting deeper work, where should you apply direct pressure?